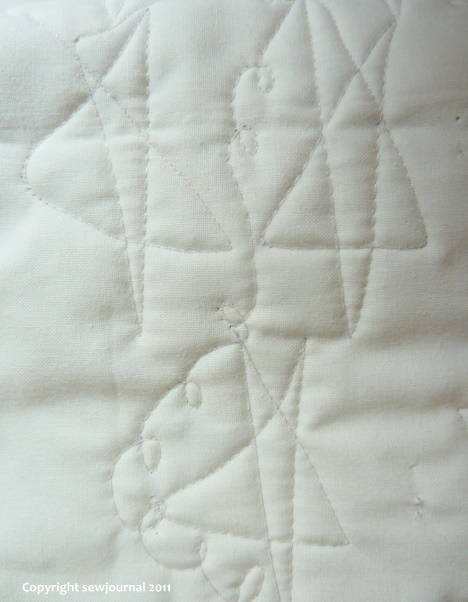 Yesterday I had my first free motion quilting practice session since I did the lesson. I think I really need some one-on-one help here. Anyway what I ended up with is liberated free motion quilting. I’m doing large 5-pointed stars. I think this design will be fine for my liberated baby quilt. What do you think? I’m happy to report some generous activity on the auction. Bag 1 is up to $35 and Bag 2 is up to $100. If you’re interested in bidding you can find Bag 1 here and Bag 2 here. Practice, practice and more practice – that’s the only thing that helps unless you are one of the rare people who does it perfectly first time. Classes with different tutors help too as each one has hints/tips to help you improve. I did some classes here earlier this year with Kerrie-Anne of Studio by the lake http://www.studiobythelake.com.au/ and have also done classes with other people over the years. I am working on improving my quilting and while I will never do really big quilts or go for awards I have fun. You are doing great and the baby won’t know anyway. Relax and have fun with it. I like you have been working on my free motion quilting. One thing that I have found that helps me avoid the little gaps at the top of a star is to make the first stroke in the direction of the final exit , so that the final stroke has to cross over the first stroke and does not leave a gap. Thanks Deborah. I’ve also found that if I stop at the end of the star I’m more likely to have closed it up than if I’m up and away off to do the next one. Thanks for your advice. 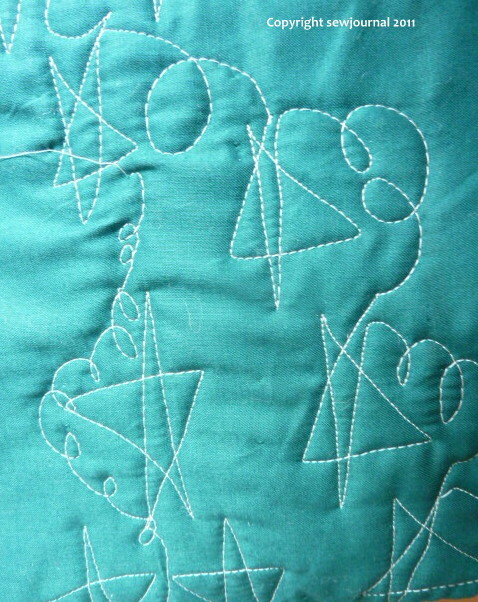 Like you I am trying to improve my free motion quilting – i find that doing the first stroke of a star in the direction of the exit helps as this means that the final stroke has to cross the first stroke preventing a gap. Looks really good. On a patterned fabric no one would notice the gaps in the stars. I try to do my loops on alternate sides of their string – gives more scope for going into empty holes. Another practice for you is to practice with pencil and paper doing it as if it were FMQing. It helps train your eye/hand coordination. but I think it’s looking very good so stop beating yourself up!